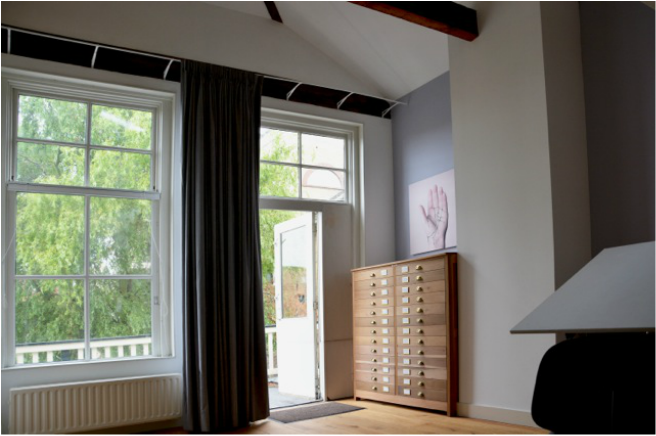 ​In 2014 we have taken up residence in a listed building in the city centre of Schiedam. Built around 1860 to accommodate one of the many Distiller's families, who lived in it for several generations, it thereafter became a women's shelter for nearly 30 years. After the Police had long left the adjacent building and a new development replaced the industry at the back, the shelter was relocated. Now we get to enjoy this amazing building with it's rich history, nooks & crannies to live and work in.